Deeepika Padukon Singh first movie Character of a Cannada is Aishwarya in a movie, then officially entered in a bollywood with King Khan Shahrukh Khan officially first movie of Deepika Padukon Singh is “OM SHANTI OM” with king of romance Shahrukh Khan in 2007 director by Farah Khan. First movie of Deepika Padukon and first movie is to be going blockbuster. OSO clash with Sawariya Ranbir Kapoor’s first movie. But no affect OSO is going to be blockbuster love story and the album songs of the film is also superhit. So, Srk help her to kick start in bollywood movies like Anushka Sharma Kohli also married, she’s first movie with Srk “Rab Ne Bana Di Jodi” (2008) Anushka Sharma Kohli first movie with Srk is also being a sperhit movie and Anushka Sharma Kohli also. After 10 years Anushka Sharma Kohli also married with Virat Kohli. As well as Deepika Padukon Singh also after 11 years completed in bollywood industry then also Engaged. 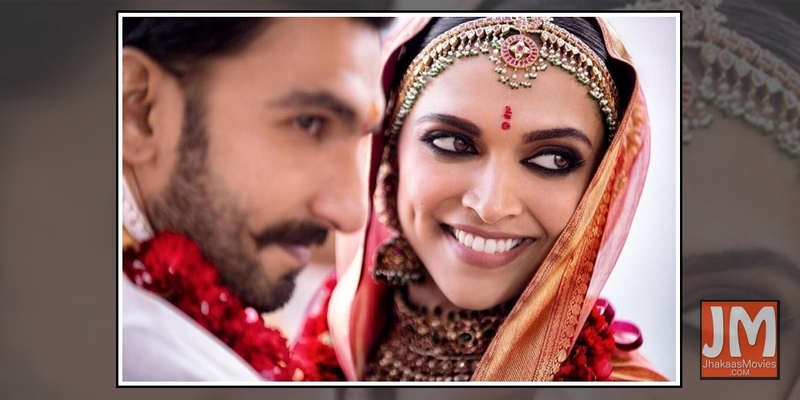 Previously, 14 november Ranveer Singh and Deepika Padukon Singh married. Ranveer Singh entered in a bollywood after 3 years of Deepika Padukon Singh. Ranveer Singh as Bittoo Sharma in a first movie “Band Baaja Baaraat” in 2010, in main lead role Anushka Sharma Kohli with him in a BBB movie. Ranveer Singh first movie with Deepika Padukon Singh is “Goliyon Ki Raslila Ramlila” in 2013 directed by successful director “Sanjay Leela Bhansali”. First time this jodi together in a film in Ramleela movie, and people love the jodi and chemistry between Deepika and Ranveer Singh in a movie. Public love the movie and love to watch together “DEEPVEER”. So, they date together and now they were happily married couple. Then on public demand again they both together in also a Sanjay Leela Bhansali films in Bajirao Mastani (2015) clashed with Dilwale movie and again both movie have a great business. In 2018 Sanjay Leela Bhansali gave a one more hit movie with hit jodi of bollywood “PADMAAVAT” 2018 but in Padmaavat movie Deepika and Ranveer not have a love traiangle, Chocolaty boy of bollywood “Shahid Kapoor” also in a movie with main lead role. Ranveer singh have a negative role in Padmaavat movie, everyone appreciated the role and acting of Ranveer Singh. Padmaavat crossed 300 crore and entered in 300 crore club.